Dr Gerhard Baumgartner was born in Oberwart (Burgenland/Austria) in 1957. Since May 2014 he has been head of research at the Documentation Centre of Austrian Resistance. Gerhard Baumgartner studied English, history, and Uralic studies at the University of Vienna from 1977 to 1984.
he was executive editor for Hungarian-language television broadcasts at ORF Burgenland. Concurrently, from 1994 to 1997, he directed the Institute for Comparative Education and University Research (Austria). From 1998 to 2000 Dr Baumgartner headed the project “Roma und Sinti im Burgenland 1945 – 2000. Zur aktuellen Situation einer Volksgruppe” (roughly, “Roma and Sinti in the Burgenland 1945 – 2000: On the Current Situation of an Ethnic Group”) of the Research Society Burgenland. Subsequently he worked as a project director for the Austrian Historical Commission. From 2003 to 2008 he directed the project “Namentliche Erfassung der im Nationalsozialismus ermordeten Österreichischen Roma und Sinti”, a project devoted to identifying the names of Austrian Roma and Sinti murdered under National Socialism. 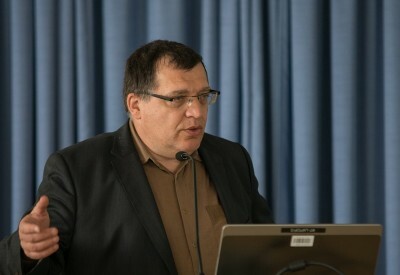 Dr Baumgartner has been a member of the Roma Genocide Working Group of the IHRA – International Holocaust Remembrance Alliance (formerly: ITF – Task Force for the International Cooperation on Holocaust Education, Remembrance and Research) since 2006. Before taking up his post at the Documentation Centre of Austrian Resistance, he was a senior research fellow at the Vienna Wiesenthal Institute for Holocaust Studies.